Breathe deeply. Listen to Steve Horelick’s soothing voice. And you, too, can take on the Environment. Steve Horelick, the composer and Logic guru who’s produced work for HBO, ABC, PBS, Ford, Volkswagen, and IBM and was just nominated for an Emmy for his years of work on Reading Rainbow, has a new Logic Pro training series out. This one I’m especially looking forward to: it’s being released as a year-long subscription, so you’ll get at least 15 minutes of training each month for a year. 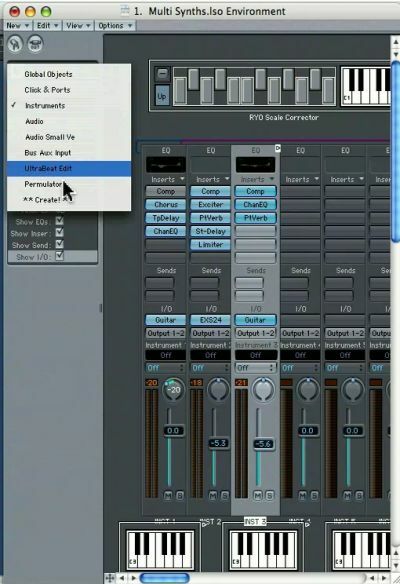 The idea is “advanced” Logic tips, not just the usual “here’s how to use the sequencer” stuff. I got to sit down with Steve Horelick at the studios of Manhattan Producers’ Alliance last week, and he showed me some of his crazy tricks in the Logic Environment, the modular patching environment that sits beneath Logic’s traditional DAW interface. He promised that he’ll take users into the Environment at least once in each “episode” of the training, partly because even many advanced Logic users are afraid to dig in deep. The Environment really is the feature that sets Logic apart, but I’ll admit, as someone comfortable with Max/MSP, even I never put a whole lot of time into it. I just checked out the first sample video, which starts as a basic tutorial on layering instruments, and winds up immediately firing up the Environment. Steve’s creative side really comes through in this stuff, and I hope we’ll get to feature him here more. In the meantime, you can try the first video yourself for free. Beyond the techniques that make sense in a training, Steve has been doing all things like making insane aleatoric, generative music in the Environment. I’ll try to see if he’s willing to share those commercially non-viable techniques here on CDM.